I have been participating in NOCALL since 2002 and I am thrilled to have grown in the law librarian profession alongside such a hard-working, dedicated and fun group of colleagues. My first Spring Institute was when I was still in library school and I’ve gone every year since. Continuing education is one of the key benefits of NOCALL membership, and I will work to make the 2017 Institute a great event. I became immersed in NOCALL committee work when Ellen Platt invited me to chair the Membership committee, a position I held from 2004-2011. I am proud to have been integral in making the membership directory available online. Over the course of my career I have worked in quite a variety of environments. I’ve been a legal secretary and then a paralegal and now a librarian. I’ve worked for sole practitioners, small and medium-sized firms, and now a huge educational institution. I’ve learned so much and made many valuable professional connections. Running Boalt Express for 13 years gave me the opportunity to learn something new every day and to work with librarians across the country and overseas. Now in my new position as Head of Circulation I am gaining experience in hiring and training student employees to keep a busy desk staffed for about 150 hours a week. I am also processing and maintaining our course reserves collection. There is still so much to learn! I will stay mindful of the fact that NOCALL is a diverse group of professionals with a variety of wants and needs. I will work to bring us together to achieve our collective goals while helping our members achieve their individual goals. Rachael G. Samberg & Erika V. Wayne, “The Pivoted Classroom: Inspiring Legal Research Skill Development Through Personalized ‘2:1 Sessions’ With Librarians,” Western Regional Legal Writing Conference, September 19, 2014. 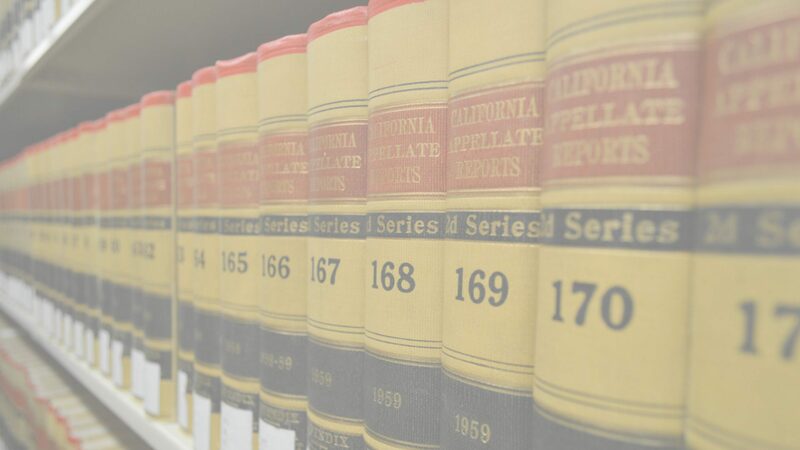 Rachael G. Samberg, “Preserving Legal History in State Trial Court Records: Institutional Opportunities and the Stanford Law School Library Collection,” 7 Cal. Legal Hist. 321 (2012). Rachael G. Samberg, “Collecting State Court Files: How Law Schools and Libraries Can Preserve History (and Use Technology to Do It),” CALI Conference, June 2012. Rachael G. Samberg, “California’s Proposition 8 in Federal Court: Key Timeline Leading to Hollingsworth v. Perry,” Legal Research Plus Blog, Aug. 14, 2012. I am thrilled to have been nominated to serve as NOCALL’s Treasurer. Since becoming a law librarian in 2010 after seven years practicing law, I’ve had the opportunity to learn a great deal about professional principles from NOCALL colleagues and friends. NOCALL’s ethos has helped inspire and propel my commitment to this engaging and challenging profession even more. As the Head of Reference & Instructional Services at Stanford Law School, I am deeply dedicated to the highest level of service, development of innovative and effective educational and research opportunities, and the expansion of access to and understanding of legal information. I will apply these same energies and goals in service as Treasurer for NOCALL, for which I have served as Archives Chair since 2011, and on the networking committee from 2012-2015. I look forward to contributing to an organization that facilitates professional development through networking and education. I am happy to accept the nomination to run for NOCALL Member-at-Large. I joined NOCALL in 2009 while a student in San Jose State’s SLIS program. I was in the process of a career change (from lawyer to law librarian) and I was excited to learn what a smart, interesting, and fun group of people law librarians are. After graduating in 2011 I enjoyed getting involved in NOCALL by attending business meetings, socials, Spring Institutes, and serving as co-chair of the Community Service Committee. Although the demands of small children (a 3 year old boy and 10 month old girl) have kept me busy for the last couple of years, I now look forward to jumping back in and am excited for the opportunity to serve. If elected Member-at-Large I will work hard to represent the membership and serve the Executive Board in any capacity that is needed. In both my life at work and my life at home I wear many hats; I hope to bring this experience to NOCALL and be your representative on the board. Thank you for your consideration and support. Browsing old issues of NOCALL News in order to confirm my dates of prior NOCALL service was quite a trip down memory lane. I recalled the many helpful workshops and institutes I’ve attended and saw the names of numerous past and present NOCALL members from whom I’ve learned so much over the course of my career. It reinforced for me what a worthwhile organization NOCALL is. I have taken a break from being actively involved as I raised my children and took on a couple of new jobs, but I’m at a point where I have the time and energy to do more. These are particularly challenging times, both for our profession and for our professional organizations. I would like to see NOCALL remain an active and vital organization, so that future generations of law librarians will benefit from it the same way I have. I welcome the opportunity to work toward this goal.